The holiday season may present unique challenges for family caregivers. It’s a hectic time, and it can feel overwhelming if you’re already stretched to your limit providing day-to-day care for your loved one. In addition, emotions can run high. Caregivers may feel added frustration or resentment around the holidays – and that can spark family conflicts. Follow these tips to keep holiday stress under control. Over-extending yourself is a sure route to exhaustion. Choosing just a few enjoyable, meaningful activities will make the holidays more manageable and allow time for rest. If you’re feeling pressured to keep up old traditions, accept that this may be unrealistic. There are only so many hours in the day! 2. Talk to family members. It helps to communicate with relatives – well in advance of family gatherings – so they understand that your time and energy will be limited. Family members may not realize what caregiving involves or how much care your loved one needs. Being honest with others helps manage expectations and gives them a chance to adjust holiday plans accordingly. If your loved one’s illness or disability makes it difficult for both of you to participate in holiday celebrations and activities, be flexible and creative. Dine out instead of preparing a big meal. Look at photo albums to revisit happy memories. Choose quality time over extravagant gifts. Connect with family online using a free video chat service such as Skype or Google Hangouts. It’s essential to maintain your own physical and emotional health. That means eating a sensible diet, getting adequate rest, exercising regularly and taking time for activities that are good for your mental health. Spending time with friends, sharing your feelings and focusing on the positive can also help you endure challenging times. And if someone offers you help, accept it! Family, friends and neighbours are often happy to help with tasks like grocery shopping and cooking. Ask your kids to pitch in with age-appropriate tasks. And if you need helping hands to provide care for your loved one, contact a reputable home healthcare provider. Bayshore Home Health’s menu of affordable, à la carte services includes light housekeeping, personal care, nursing, companionship and more. 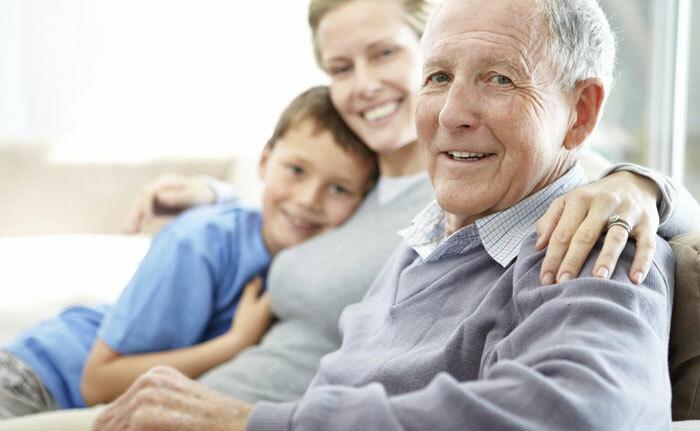 For more details about home health care, call 1-877-289-3997.